If your business is moving to a commercial building that is not yet finished, you will likely need the services of a trained electrician. Our licensed electricians have the experience and credentials to finish the electrical wiring and installation in your new building according to the needs of your business. We know how frustrating it can be to learn that the building you planned to move into is in need of major electrical work, which is why we are committed to providing fast, reliable, and safe services that businesses of all sizes can count on. We do not cut corners and take pride in our work, which is why we are considered a premier electrical company in Dallas-Fort Worth. Our team of experienced electricians offer comprehensive knowledge regarding tenant finishes, whether you are in need of a minor renovation or major department remodel. Changes and upgrades to a building’s electrical system can be particularly detailed and tedious, especially if your business has already moved into the building. E&B Electric has an excellent reputation when it comes to tenant finish projects, ensuring everything is completed up to code with minimal disruption. In many cases, a tenant finish is just one piece of what needs to be completed in order for a retail space to be ready for business. Depending on the space and its current state, an electrician may be required to ensure it meets specific municipal, county, and state codes and requirements. There are also many customized elements that may come into play for the business to occupy the space safely. We understand how overwhelming and daunting this may be, which is why we strive to make things easy on you. 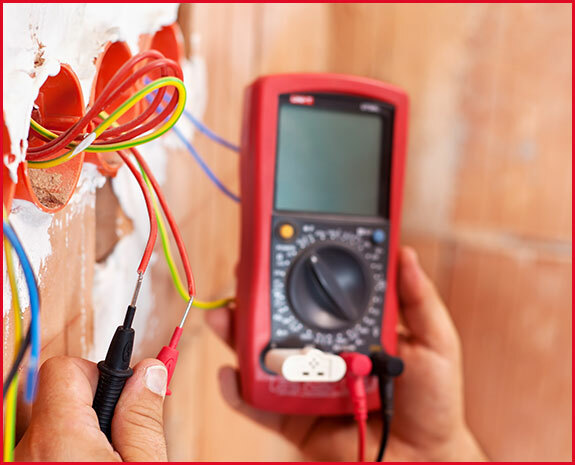 At E&B Electric, our licensed Dallas tenant finishing electricians have the capacity to provide the level of wiring and appliance installation needed in order to ensure your commercial space is ready for business. In many cases, the space may require electrical build-out construction, or perhaps rewiring or new cabling for all your electrical appliances and systems. We do our best to make the tenant electrical finishing process as fast and cost-efficient as possible. We know how important it is for you to get into your commercial space as soon as possible, which is why we encourage you to contact us so we can get started! We are prepared to get to work as soon as possible to get your commercial space finished and ready for business. We have years of experience in tenant finish for commercial spaces, allowing us to finish projects on time and with the highest level of quality possible. We do not miss any steps in order to get the project done, and will always be transparent with you about what needs to be done and how much it is going to cost. We look forward to helping you with your commercial tenant finish and encourage you to contact E&B Electric today to schedule a free consultation. When you choose us as your Dallas-Fort Worth electrician, you will receive the highest quality of care and experts who are trained to provide you with a customized and unique service experience.